I just like saying the name Elouan. Kinda sounds like a mystical genie…Elouan. The nose is fruity, raspberry and cherry notes are in order very pleasant. The color is light, almost see through. Typical of pinot, but not off putting. Now the flavor. Very fruit forward, you are hit instantly with raspberry, cherry, even a seemingly cola flavor, an abundant amount of fruit is present The spice comes at the end, cinnamon and pepper. The end lingers for a time, but not everlasting. Light to medium body, the wine is proportionally balanced making it a very enjoyable. 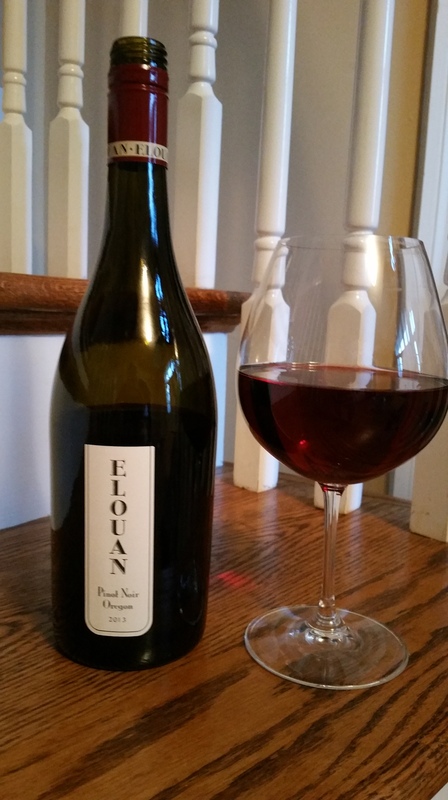 A nice alternative to some of the very light pinots coming out of Oregon.